The Club, in partnership with Hartlepool Borough Council and the EHB runs Hartlepool Hockey Action Group whose main function is to help develop the sport in local Primary and Secondary schools as well as to assist the club in its own development. See TRAINING [insert link] for further details. 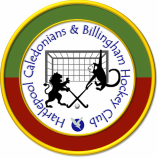 The club intends to establish links with Billingham schools likewise. From season 2016-17 Durham County Hockey Association will take over the running of local Junior Hockey Leagues from the North East Hockey League and these will be organised along with the EHB’s Single System junior development programme. Final details are awaited but the club will be entering teams as appropriate thus making hockey more accessible to our very junior players who will benefit from playing in their own league age group. The aim is to achieve ClubsFirst Accreditation in the very near future.